No-bake cookie dough. In a jar. 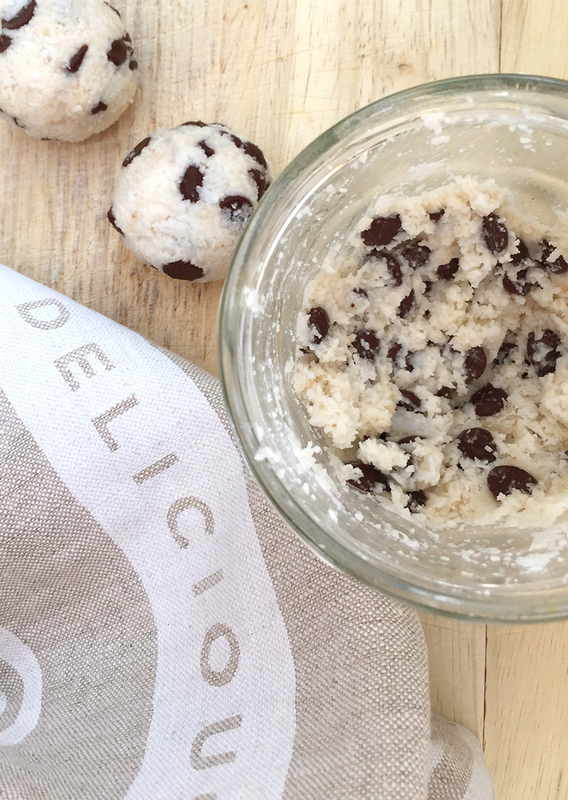 This no-bake cookie dough takes only minutes to make and there’s no waiting for them to bake… just slow your roll for a minute to let the coconut flour set, and then you can eat the mixture straight from the jar – no raw eggs to worry about! Also versatility is a plus: grain-free baking can be so finicky, but this recipe works as the base for all kinds of add-ins. If you’re not in the mood for chocolate chips, go for dried fruit instead. Drizzle with almond butter or sprinkle with cinnamon. Add a splash of vanilla extract if you like, the possibilities are endless! Whichever way you spin it, this recipe is your ticket to get cookie’d up in a hurry. P.S. This no-bake cookie dough is inspired by my friend Angela’s cookie in a jar recipe (head over there if you’re more in the market for an almond flour version of a no-bake cookie) which I’ve been a fan of for quite a while, by now. Combine all ingredients in a jar and stir together. Wait a minute or so for the coconut flour to absorb the moisture of the wet ingredients, then stir again. 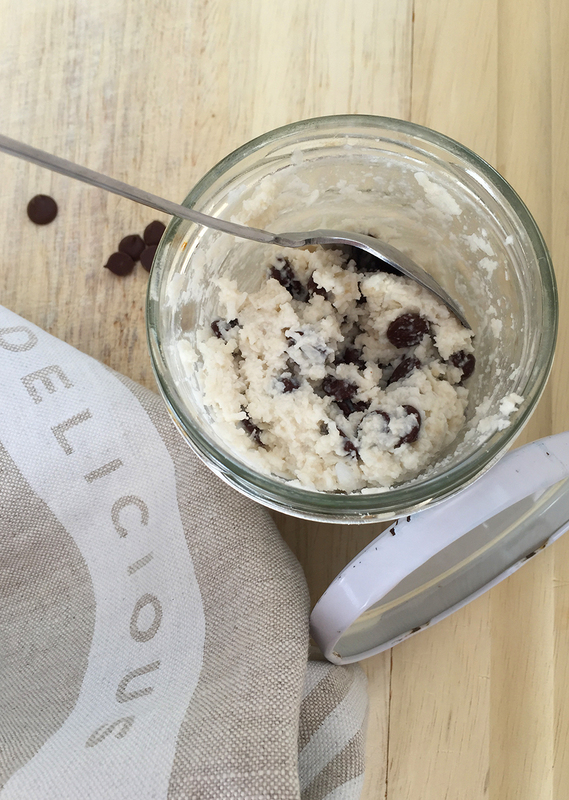 Enjoy straight from the jar with a spoon or form cookie dough balls. 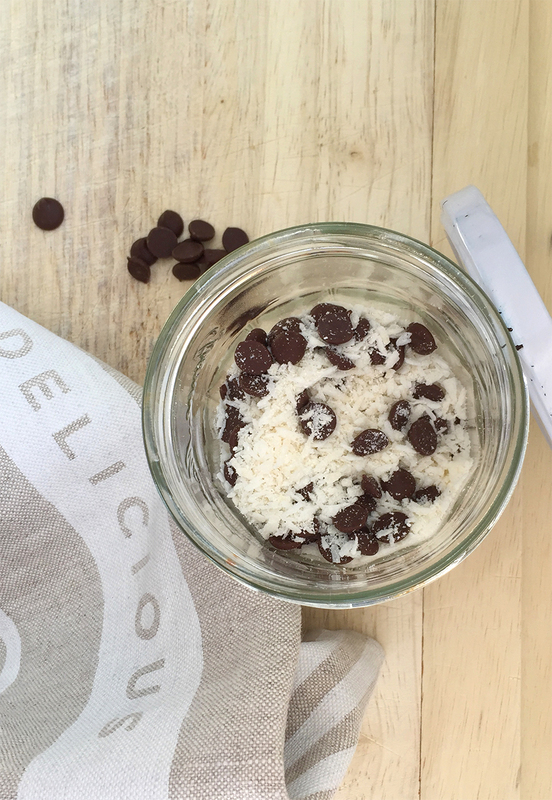 I make my no-bake coconut cookie dough in a jar with a lid for easy storage in the fridge if I want to save some for a later serving. This looks wonderful! What a delicious and healthy treat. These remind me of Hail Mary Coconut Macaroons (at least I think that’s the name?)! Which are super delicious btw 🙂 Totally going to have to make these! This is by far the most popular recipe on my website. Even a 5 year old can make this. It’s the ultimate lazy, delicious, fun treat!! Your coconut version looks amazing. Wow, sounds like a tasty treat! This would sure have saved me some time when I was pregnant – I felt like I was making cookies constantly to satisfy my cravings. I will definitely be trying this. Shared these on FB today! Love the fun and goo! Such a clever, indulgent idea. The maple syrup – swoon! They ARE indulgent. That’s what I love about the tiny portion size… I can eat it all in one sitting without the guilt! I think everyone gets excited about no-bake during the summer, right? Why can’t 1 serving size = 1 jar??! These look awesome. I love anything coconut! Heh, I actually made a mistake in the recipe, it serves two rather than four. Find a friend, share the jar! It just so happens that I have all of these items and will prob be making these later tonight! 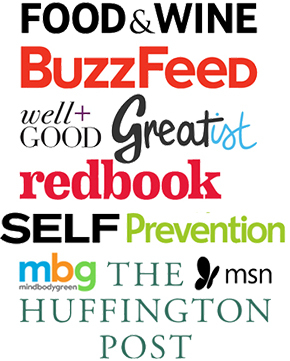 Thanks for sharing…pinned!! OMG I am totally making this. This looks so simple and easy and literally I NEED it now! Just made it!! Delish! Thank you so much. I love no bake desserts, especially with coconut and chocolate. This looks and sounds absolutely delicious!!! I have been eating gluten free for almost a month now and have steered clear of sweets but this recipe sounds just too good not to try! Thanks so much for sharing this recipe. My kids are going to love this! I didn’t know you can eat raw coconut flour! YUM! I literally made this 5 minutes after reading your post, and it was delicious!! I had promised my little one we would make some cookies after her nap, but then I lost the motivation to do so – so this recipe saved me 🙂 Thanks! I’d never thought coconut no bakes. I’m going on a week-long writing retreat to the Adirondaks in July and girls camp for a week in September. I think these will be a hit in both places. Week-long writing retreat in the Adirondacks?! Jelly. I’m soooo making this today! This sounds delicious! I don’t “cook” much. Do you have any suggestions on how to change the recipe if I just wanted to use coconut butter? These sound delicious! Is the coconut milk regular coconut milk or the full fat coconut milk in the can? Good question, full fat coconut milk in the can!